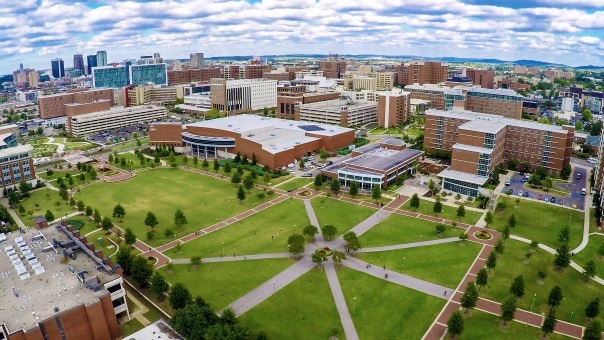 The INTO partnership pathway program at the University of Alabama at Birmingham is committed to helping international student integrate easily into American university life. The university provides a range of programs that promote social, personal, and academic well-being, such as the Multicultural and Diversity Programs, the International Student and Scholar Services, the Student Advocacy group, the Student Health and Wellness Center, and the Student Counseling Center. The Office of Student Advocacy, Rights and Conduct can also help guide you through the university system, directing you towards campus and community resources and helping you understand the various policies and procedures within the university. If you are seeking "knowledge that will change your world,” then the University of Alabama at Birmingham is for you. This phrase runs through the core of the university's culture, to educate the diverse student population, seek new research, and to serve its local and global communities. You’ll be joining an international community here. Located in the heart of the largest city in the state, you'll be near the best the southern US has to offer. The exciting journey of college life starts here, with state-of-the-art facilities, numerous learning resources, an active student body and big time college athletics. That’s just the start—UAB has countless opportunities for you. UAB offers undergraduate pathway programs in: Business, Computer Science, Engineering, General Studies, Pre-Nursing, Public Health and Science. As well as graduate programs in: Computer Science, Cyber Security, Public Administration, Business Administration, Educational Studies, Engineering and Public Health, Basic Medical Science and Teaching English to Speakers of Other Languages.